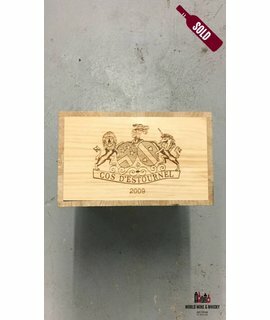 Château Cos d'Estournel is a winery in the Saint-Estèphe appellation of the Bordeaux region of France. It is also the name of the red wine produced by this property. The wine produced here was classified as one of fifteen Deuxièmes Crus (Second Growths) in the original Bordeaux Wine Official Classification of 1855. 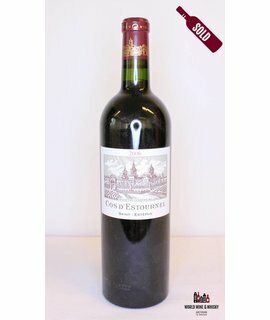 Château Cos d'Estournel produces the eponymous grand vin, the second wine since the 1994 vintage, Les Pagodes de Cos from the estate's younger vines, as well as Château Marbuzet from fruit of nearby plots. The property is adjacent to Château Lafite-Rothschild in the neighboring commune of Pauillac. The name Cos (with the S pronounced) refers to a "hill of pebbles" in Gascon dialect and the name Cos d'Estournel was given in 1810 by Louis-Gaspard d'Estournel. The château has remained in the Ginestet family since then, becoming in 1970 part of Domaines Prats, the combined holdings of the Ginestet and Prats families, and controlled by Bruno Prats. 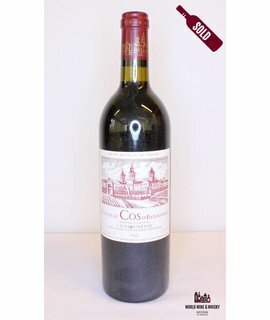 In June 2008 it was announced that Michel Reybier, current owner of Cos d'Estournel, purchased Napa winery Chateau Montelena for an undisclosed sum. By November 2008, however, this agreement was cancelled, the termination of the transaction by Chateau Montelena stated to be due to that Reybier Investments had been "unable to meet its obligations".